You know, it is said that the solar plexus is the central point of our human body. It is the centre of gravity. The size of the solar plexus is found to be very large in yogis. If one does not meditate regularly, then it remains small in size; just like the size of a small gooseberry. But if we meditate regularly, then its size expands to become as large as a full lemon. All our emotions get stored in the solar plexus. It is the point from which your gut feeling also arises. Even scientists say the same thing about this. The more expanded your solar plexus is, greater is your mental stability and your intuition. Our ancient people have termed the solar plexus as Padmanabha. It means one whose solar plexus is like a fully blossomed lotus. When you see the image of Lord Vishnu, you will see that Lord Brahma arises from the lotus blooming out of Lord Vishnu’s navel. What does this signify? This signifies that when Lord Vishnu was in a state of Yoga Nidra (here referring to a meditative state coupled with complete alertness), then a lotus blossomed from his navel out of which Lord Brahma was born. How many of you have heard this story? (Many in the audience raise their hands) The secret behind this story is that, when you are in Yoga Nidra, then your navel region blossoms and this brings up a lot of creativity in you. What our scientists tell us today, our wise ancestors have already conveyed the same a long time ago, by means of such beautiful symbolic stories. Usually, people think that first something has to be created, and only after that can it be nurtured and maintained. But in this story, the one who nurtures (Lord Vishnu) appeared much before the Creator (Lord Brahma) could arise. The maintenance department was already present much before something got created. This is a sign of great efficacy. So the creation actually happened later. They symbolically said, ‘One who maintains himself, from him the creation came up’. The maintenance department was already ready before something got created. That was the sign of efficacy. 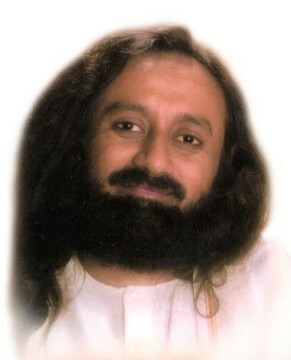 Gurudev, how do we handle people who emotionally abuse you? If it is physical abuse, then you should just stay away from them. But if it is emotional abuse that you are going through, then it is totally your responsibility. No one can emotionally manipulate you if you do not let them manipulate you. It is as simple as that. If you do not want to be unhappy, no one else can make you unhappy. Just decide for yourself that no matter what happens, I am going to keep my mood and spirit high and I am going to keep smiling. Come what may, I am not going to get bogged down or bow down before anyone else’s tactics. That’s it, finished! Just one sankalpa is enough to get out of it. 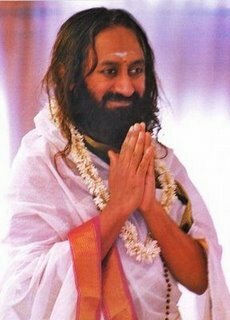 Gurudev, how to love unconditionally in this world full of conditions? Do not try to love. You cannot force yourself to love, that is simply impossible. Just let go and be natural. Know that there are limitations in this world. People have their own limitations, their own prejudices. We have to live in this world with all types of people. That is one of the principles of The Art of Living: Accept people and situations as they are. You should always remember that people’s ideas, emotions and opinions keeps on changing. Everything changes. Many friends become enemies and enemies become friends. See, you are friends with somebody and suddenly for no obvious reason they become your enemy. You have not done anything wrong to anyone, yet they turn out to be unfriendly towards you. How many of you have had this experience? Sometimes people whom you do not even know will come to you help. You have not done them any great favor, yet they help you. On the other hand, people for whom you cared a lot and helped a lot suddenly become your enemy. Has this not happened to you? (Many in the audience raise hands). This friendship and animosity works on some deeper principle called karma. If your time is good, your worst enemies also start behaving like your friends. And if your time is not good, then your closest friends too will misunderstand you and start behaving like your enemies. When you see all this from a bigger perspective, then great inner strength dawns within you and you are able to smile through any situation, whatever it may be. See, 35 years ago when we conducted yoga and meditation sessions in countries abroad, they would not respect it much. They would think that the people who practiced these techniques were crazy. Seeing people with ash smeared all over their body and standing on one leg, or doing a head stand, etc., would seem unnatural to them. There was so much prejudice back then, I tell you. Yoga was thought as not to be for the common person. Respected people in society would not do yoga. In those days, yoga did not get public and political acceptance. No religion or spiritual tradition can survive for long if it does not gain public and political acceptance of the land. So, for many years people thought that only those who are crazy would do yoga. People used to be scared of yoga and spiritual practices. It took many years to overturn this trend of thought. We have so many teachers who have gone from place to place to spread the message of yoga and meditation. 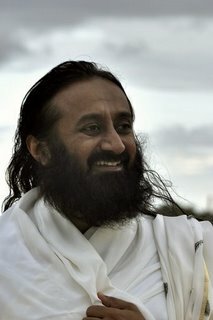 Thousands of Art of Living teachers worked throughout the world for this. Swami Paramhamsa Yoganandaji began the trend towards meditation and spiritual practices in those days. After him, Shri Maharishi Mahesh Yogiji also contributed immensely to the growth of spirituality. He took great initiative to save the people from drug addiction which had become popular because of the Hippy Wave at that time, especially in the Western countries. He slowly encouraged more and more people to turn towards yoga and meditation to find relief and happiness. But when he began to speak about levitation and other phenomena, people again got scared and wary about these practices. Then around 1980 or so, people’s mindset changed and they began to take interest in yoga. Many schools of yoga developed during this time. So over a period of time, this outlook slowly began to change. The scenario today is so different, with people across 152 nations actively practicing yoga and meditation. More and more people are finding joy and happiness through these practices. Today, in all big advertisements, you will see someone sitting in a yoga posture, or sitting as if in meditation with eyes closed. People’s opinions have changed. In earlier days, yoga and meditation was thought as not to be for normal people. That is why I had to keep the name of the foundation as The Art of Living, and that was more acceptable. We could never simply just say 'Yoga Sessions'. Yoga is one part of the entire program here at The Art of Living. The whole process is for you to come to know your own self. That was more acceptable than just yoga alone. Prejudice is a big issue, but time takes care of it. That is why I used to tell our teachers, 'Educate and ignore'. It is also a great development that happened, when our own Prime Minister, Shri Narendra Modiji took great efforts to popularize and establish yoga. It is because of his efforts, the United Nations declared 21st of June, which is the longest day of the year asThe International Yoga Day. I feel this is a great honor that has been conferred upon yoga, but I feel this alone is not enough. It is more important that it reaches every doorstep in the country and more and more people benefit from it.